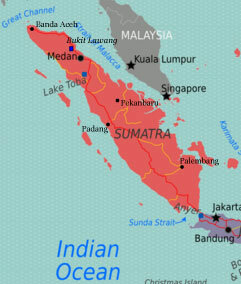 Medan is the main city of Sumatra and is located in Northern Sumatra. It serves as the main hub and gateway with its Polonia International Airport and Belawan. 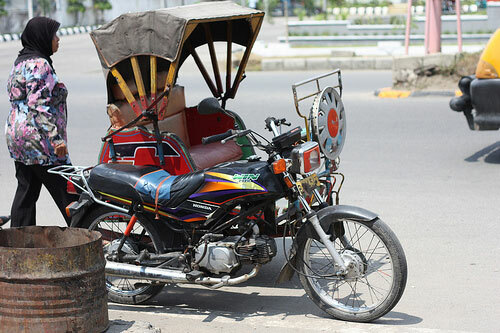 It is the fourth largest city in Indonesia and the largest city outside of Java. It is not much of a tourist destination but it is where tourists normally fly into get to Lake Toba and Bukit Lawang or some even took off to Penang, Malaysia. Tjong A Fie’s Mansion – a two-story mansion built by a Hakka merchant, for those who are interested in old architecture of the past. For domestic flights there are many choices flying from various points in Indonesia with several airlines. Take note of airport departure tax – domestic departures require 35,000 Rp tax while international departures are 75, 000 Rp. 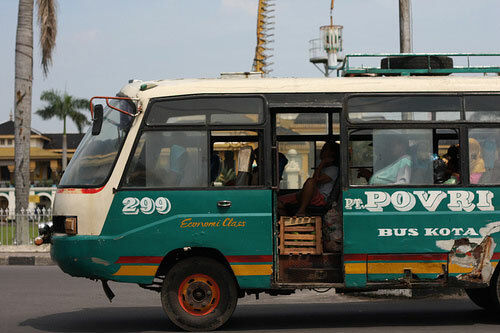 To get to the city, you may take a taxi for around 40,000 Rp and if you scout a bit more, you can bargain down to 20,000 Rp. If you’re coming via the sea, the nearest seaport is Belawan, with both domestic and international boat and ferry services. As you would be here for a quick get through to other places, you are most likely to need a place to put up for a night or two. This city is not exactly a backpacking sleep so do not expect much. If you are willing to splurge you will find many hotels that are up to city standards. Else there are a few budget homestays, bed & breakfasts or hostels to choose from. Head out to the famous Lake Toba for a good chill and relax by the largest volcanic lake, 4 hours drive away by land. For a quick getaway at Berastagi, famous for locals, about 1.5 hours drive away. 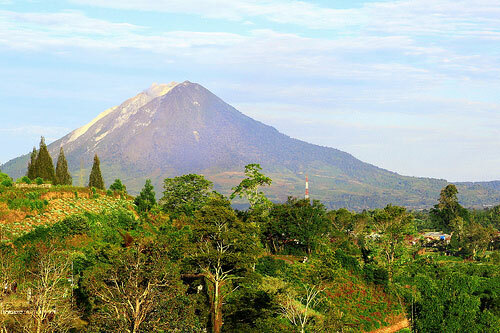 You can hike out to the two nearby volcanoes, Sinabung and Sibayak. Explore the village at the edge of Gunung Leuser National Park about 3 hours drive away, where you can do treks, hikes or just chill by the river. The main attraction here is Bukit Lawang, famous for the Orangutan Trekking and its Orangutan Viewing Platform. Wanna ask if there is any safety issue on the ferry crossing to Samosir Island for example life jackets availability etc? its not a problem, though i recall seeing life boats on deck..
Hi. I would like to know if there’s a ferry to/from Medan, Indonesia – Penang, Malaysia? How long is the trip? Would you know the price range (cheaper than air travel?) & ferry schedule? What about the safety issue? Thanks.